Antoinette Kennedy will be signing books at booth 39 at the Portland Book Festival on November 10th. 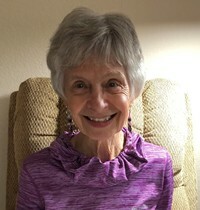 Antoinette Kennedy, a native Oregonian and author of Far from Home, was a Catholic nun from 1961-1985 and has had a teaching career that includes elementary, middle school, and high school. As a nun, she received her BA in literature from Marylhurst College, studied drama at the University of Oregon, and completed an MA in Franciscan Studies from St. Bonaventure University in New York. After leaving the convent, she completed the Northwest Writing Seminar at Lewis & Clark College in Portland, Oregon, and received both a Literary Arts and Fishtrap fellowship. She lives in Hillsboro, Oregon. 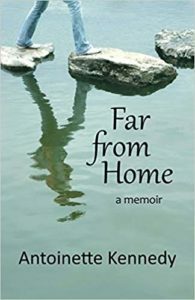 Antoinette Kennedy’s memoir, Far from Home, weaves together stories of family, convent, and beyond. Humorous, honest, poignant, the memoir explores not only one nun’s experience, but the universal quandary of how we reconcile decisions made in youth that no longer mesh with the person we have become. Find out more.